The brand new Charm Club from Thomas Sabo, create your own personal style and story with Generation Charm Club. 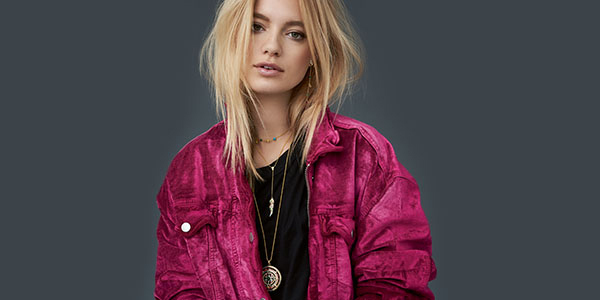 Express yourself with vintage symbols, lucky charms and graphic motifs, perfect for standing out from the crowd. Made to last for eternity, these intertwined designs are engraved with the words ‘Together Forever’. Perfect for your loved one, the Thomas Sabo Together Forever collection is full of beautiful pieces for a meaningful jewellery box addition. 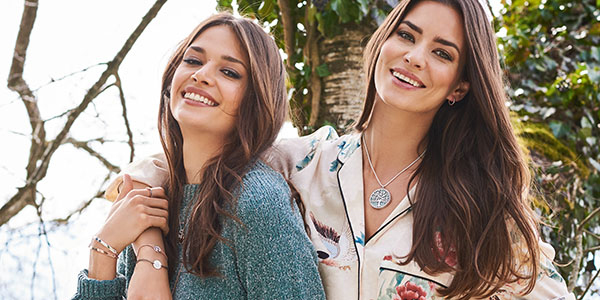 Filled with bohemian style, the Thomas Sabo Glam & Soul collection is full of perfect pieces for layering. Designed in intricate styles and embellished with glittering crystal and semiprecious stones, Thomas Sabo Glam & Soul will express your individuality. Celebrating its 10th birthday this year, the Thomas Sabo Rebel at Heart collection is perfect for showing off your rebellious side with skulls, snakes and graphic patterns. Designed with blackened sterling silver and expressive motifs, the Thomas Sabo Rebel at Heart collection will ensure you stand out from every crowd. 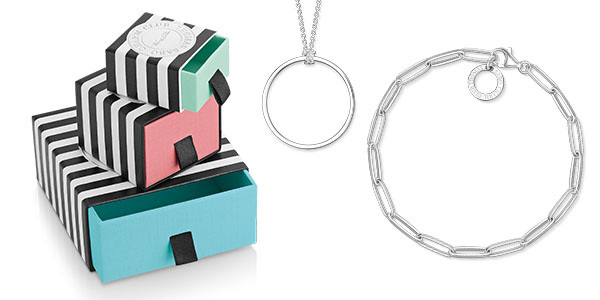 On-trend style meets timeless glamour with this collection of diamond Thomas Sabo jewellery. 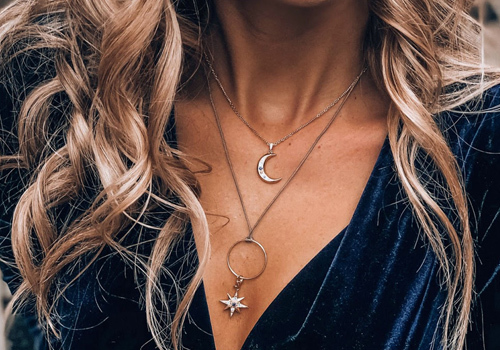 Beautiful silver jewellery pieces from Glam & Soul, Rebel At Heart and Thomas Sabo Charm Club are adorned with dazzling diamonds. Little Secrets convey the deeper significance of wearing jewellery, with a range of delicate yet precious friendship bracelets, each of them intended to symbolise the wishes of the wearer. Available in an array of beautiful options, the rope bracelet designs feature a colourful cord and an ultra-detailed silver or gold-plated charm-style pendant in the middle. Begin your Thomas Sabo Generation Charm Club story with a beautiful charm bracelet or pendant. Just start adding on your favourite charms to express your personality and unique style. 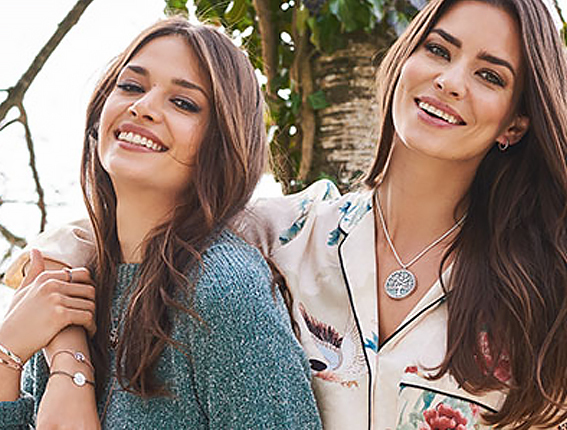 Full of all your favourite animals and beautiful nature-inspired pieces, the Generation Charm Club Nature & Animal collection is perfect for adding a bit of fun to your look or a naturally beautiful finish. Full of hearts and thoughtful gifts for all occasions, the Thomas Sabo Generation Charm Club Love & Symbols collection is perfect for giving your heart and showing how much you care. Perfect for a birthday present for your loved one, this collection of Generation Charm Club Happy Birthday charms features birthstones and special milestones. Full of classic and timeless charms, the vintage Generation Charm Club collection consists of letters, zodiac signs and beautiful stars. Spoil a loved one or treat yourself to these must-have charms. Beautifully crafted to be at the cutting edge of fashion, Thomas Sabo is glamorous, on-trend and always fun. Founded in 1984 in Germany by eponymous designer Thomas Sabo, the Thomas Sabo brand has set new standards in the world of fashion jewellery with innovative, trend-led designs crafted from luxurious materials. 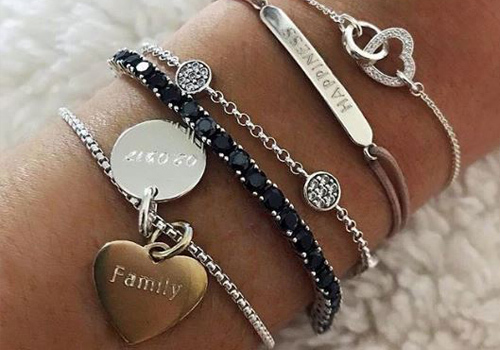 Thomas Sabo create pieces so you can express your personality and tell your own story. The brand’s jewellery, charms and watches are perfect for showing off your own individual sense of style. "Items of jewellery represent the most intimate, human feelings: it is love, personal happiness and those special moments in life that we find reflected in an item of jewellery." 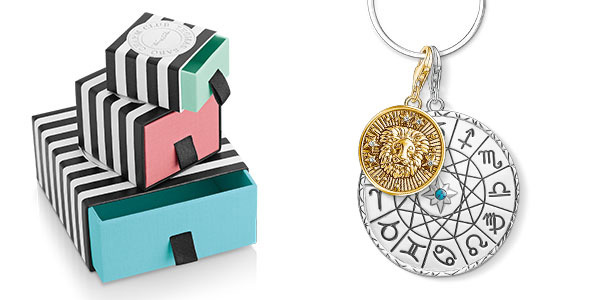 Thomas Sabo is all about building your own personal style. No matter what your taste, there will be a Thomas Sabo collection and a Thomas Sabo piece of jewellery for you. 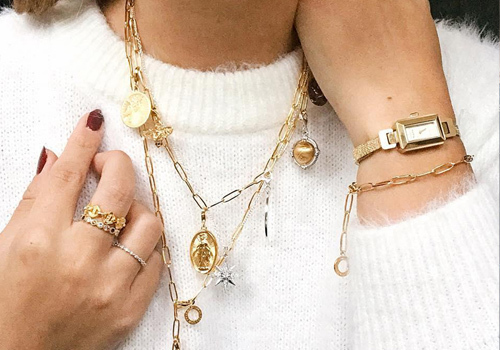 You can play around with stacking rings, layered necklaces and bracelets to create different looks to suit different moods and outfits. It’s all about mix-and-matching! The brand uses only luxurious materials such as 925 sterling silver, 18ct gold and rose gold plating as well as dazzling diamonds and cubic zirconia crystals. Not just a beautiful fashion accessory, Thomas Sabo designs are filled with deep meaning. From the ‘Together Forever’ range - which symbolises the unbreakable bond shared by two lovers - to the ‘Tree of Love’, representing the connection between humanity and nature, you can tell a story with your jewellery. We love this!